In 2012 a band by the name of Imagine Dragons dropped their stamp on the top-40 airwaves with their blockbuster tune, "It's Time." Inventive, quirky and heavily beat-driven, their one and only album, Night Visions, is lined from cover-to-cover with chart-topping hits. Each tune released has solidified their place among the very best in the indie rock scene. However, fans are anxious and crying out, It's Time! For more! 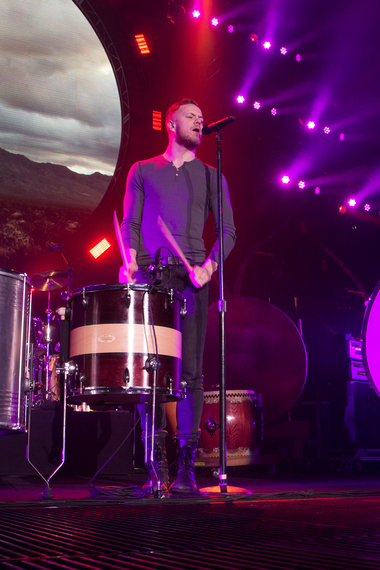 Imagine Dragons' album, "Night Visions," went Platinum in over eight countries and sold over 2 million copies in the U.S. in little over a year. I caught their latest tour on its last night in Denver at the Pepsi Center on March 15. "Into the Night," was certainly creative and fun. Reynolds brought the house down with their hit tunes, "Radioactive" and "Demons." However, it was clear that the energy they are known for delivering with each live performance just wasn't there. But who could blame them? A 21-city tour is no easy feat. I wouldn't say I was disappointed with their show, as it seemed to be executed quite well and Dan Reynold's vocals were incredible... spot-on. Not to mention the Pink Floyd-esque backdrop and light effects were worth the drive in of itself. Yet there seemed to be a lack of original tunes. Pulling off a 90-minute concert wasn't in the cards. I have to agree that it's definitely time for them to give all of us something new to listen to. The music critic in me is skeptical, as usual, as to whether or not they'll be able to pull off another mega-hit album. And although I'm skeptical, I'm not hopeless. 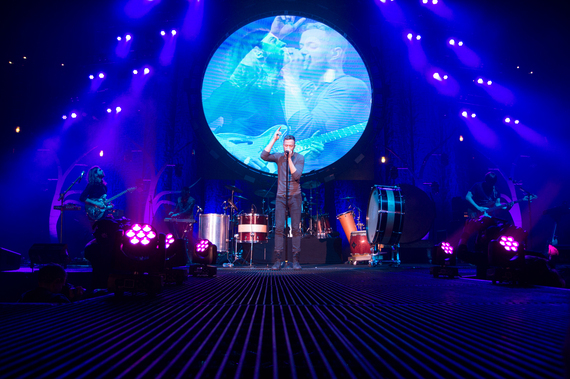 What I saw on Saturday night changed my mind about Reynolds and Imagine Dragons. It was more than encouraging. And It wasn't the performance. The majority of the sold-out crowd in Denver was composed of parents accompanying younger teens and pre-teens. They flooded the venue. Even Colorado Governor John Hickenlooper was seen trolling the crowd prior to the show with his son. Although many bands employ shock tactics to seize the younger "impressionable" audiences (i.e. Miley Cyrus' wreck of a career and the blurred lines between what's appropriate for all ears and what's just disgusting), Imagine Dragons leaves theirs at the helm of their lair. They've taken the higher ground through providing refreshing, dare I say, inspirational and motivating hits. Thankfully, the music gods have shown great mercy upon all of us parents. The worst of the worst have been replaced. Barney, Miley Cyrus and One Direction have nothing on the rhythmic core of Dragons' M.O. Dragons' "it" factor is their ability to create hit after hit for the whole family without compromising the integrity of their music or putting everyone to sleep. In the end it seems those that compromise ethics and morals through their art end up turning fans away instead of creating a sustainable future for themselves. And although there will always be questionable music circulating for the wrong reasons, it's nice to know that it doesn't have to be the center of attention. Congrats to Reynolds and all of Imagine Dragons for firing up tunes that encourage listeners to view the world in a more positive light and rock on despite the competition. They deserve all the success for igniting the scene and truly standing out for all the right reasons in today's saturated market of indie rock bands.